Are your hamburgers dry leather? About.com has a few tips about how to cook a better burger. Keys are to keep it juicy and enhance the flavor just a tad. Check it out. While the SNU is down at Sweetwater Summit for an Amateur Radio Field Day, the National Parks Conservation Association is sponsoring a special stargazing night at the Great Basin National Park. Low humidity and light pollution combine with high elevation to create a unique chance to view stars at the park, located along the Utah border about 60 miles east of Ely. The National Park Service’s Night Sky Team recognizes the park’s skies as the darkest and most unspoiled in the lower 48 states. Ought to be fun no matter which side of Nevada you visit this weekend! What’s got red awnings and a picture of mountains on the window guard? It looks like Airstream and Victorinox hook up for limited edition Swiss Army trailer. The Autoblog says they’ll make 125 of these Airstream trailers. See the link above for a PSA and photo gallery or the Airstream site for its Victorinox Special Edition Airstream. Per mile traveled, fatal crash rates increase starting at age 75 and increase markedly after age 80. This is largely due to increased susceptibility to injury, particularly chest injuries, and medical complications among older drivers rather than an increased tendency to get into crashes. Fragility begins to increase at ages 60-64. At age 75, older drivers begin to be markedly overinvolved in crashes, but fragility is the predominant factor explaining the elevated deaths per mile traveled among older drivers. There are several lessons here. One is to be very careful and not take news reports at face value. Another is that we get more fragile as we age. Most of the risk from driving is with passenger vehicle occupants. As you retire and get more time to get your RV on the road, don’t let the fear mongering get to you. Take care. Discount Tire has a page on Trailer Tire Facts that provides a good summary of things to know about your trailer tires. Discount Tire also notes that trailer tires are not designed to wear out but rather limited by time and duty cycles with a mileage expectation of only 5 to 12 thousand miles. There is some confusion in this list as with many. Is tire storage best in a cool dark garage at maximum pressure or on the trailer with lower pressure shaded from sunlight? Getting to the basis of the recommendations is one good path towards clarifying the confusions and figuring out what is best for your circumstances. Dr. Hinson has a few good tips for your dog about Dealing with the Summer Heat. The core ideas are to plan activity so the exercise and timing don’t stress the dog as the weather heats up, keep the dog cool with shade and fresh water, and be able to recognize heat related problems. Check it out, and the blog. Wag Reflex has lots of good stuff for those with pets. 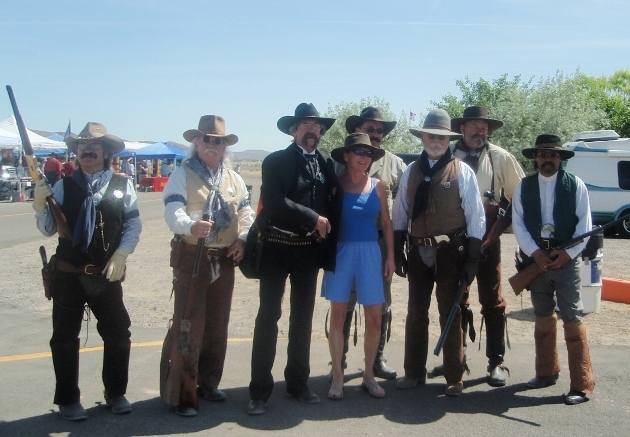 The WBCCI NorCAL Unit held their June 2009 at the border of Nevada an California on I80 at Gold Ranch RV Park and Casino. SNU members visited for the Saturday happy hour and dinner and took a few pictures. 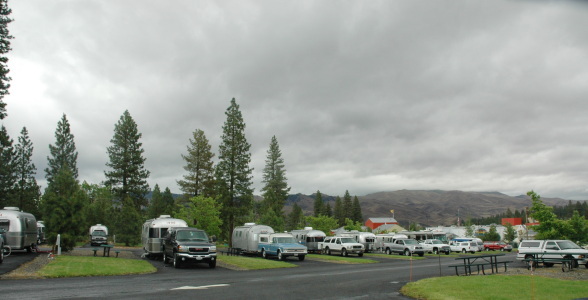 UPDATE: and there is another photo gallery featuring the NorCAL rally – see NorCal rally at Gold Ranch June 2009 – and view more pictures of Airstream RV’s and their owners having a good time. Several discussions have come up on the forums about safety and risk. There are those who are very worried about hitch rigging or travel weight and other things being unsafe. 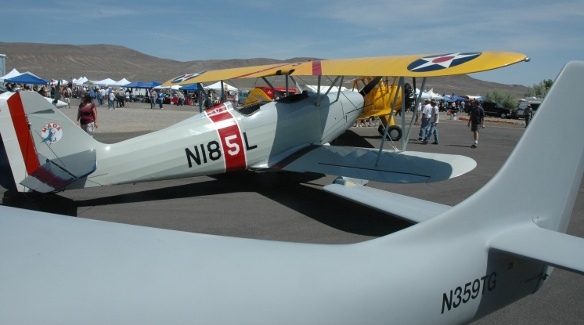 The Nevada Crash report for 2006 (big PDF) indicates that worries are misplaced. In the table about types of vehicles involved in all property damage, injury, and fatal collisions, 162 “motorized homes’ crashes included only 3 fatalities. Golf carts were in 3 crashes and tent trailers and travel trailers in 2 each with no fatalities in any of these. This is out of 114,632 crashes reported. That puts travel trailers at one percent of RV crashes in Nevada in 2006 or at a rate of about 17 per million of all vehicle crashes. There are reasons for this that include driver maturity and a tendency to avoid traffic congestion. At just single digit events in a year it would be very difficult to accumulate meaningful numbers about causes and risks. The bottom line is that the risk is very very small for the RV community. When you see someone on the forums spouting off about how some hitch is a safety hazard or expressing a desire to leave the state if someone dares to get on the road with some rig that isn’t on their approval list, write them off as a blowhard who has lost touch with reality. Continue to take care of your rig and pay attention when driving. Enjoy the Sierra Nevada and Great Basin RV experience. There’s been an update to the Owner’s Guide remodeling section on awnings. Check out the page on Awnings and see the photo galleries on roadside awnings, an awning replacement, and a roadside awning installation. The June 2009 Newsletter has been posted. Links to photo galleries and additional information mentioned in articles in this newsletter can be found at the following there, too. Thursday June 25 to Sunday June 28, 2009 the SNU will hold a rally at the Sweetwater Summit. It is a dispersed site on NFS land. Located on highway 338 in Nevada, which comes out of Bridgeport as California hwy182. If you are heading north on Nevada 338, at the Sweetwater Summit there is a large parking area (DOT yard) to the right with a weather gathering station at the south end. From the southern end of the parking area, there is a short dirt road that goes behind a small knoll where the area flattens out. That’s the rally site. The highlight of this rally is Amateur Radio Field Day. When the traffic on the road starts to rise, herd behavior becomes an issue. Physorg reports that Traffic jams follow explosive pattern, says researcher (w/Video). Picture this next time you’re stuck in traffic: Thousands of wildebeests loping across the Serengeti Plain when suddenly a few spooked animals turn the orderly migration into a sea of locked horns, U-turns, head-on collisions and trampled calves. The idea is that a disturbance in the traffic can propagate and it doesn’t do so evenly. When one driver hits the brakes in traffic, response times and other factors are going to be such that a driver a few cars back is going to crash into the rear of the car ahead and there is little or nothing he can do about it. This report talks a bit about the studies of this phenomena and how and why it occurs. A point to emphasis is that you drive not only to make you safe but also for the safety of others on the road with you. Flow with the traffic and avoid sudden moves. Be aware of what is ahead as far as you can see so you can anticipate problems before they get to you. This allows you to compensate without making sudden moves. Also be aware of what is behind you so you can anticipate potential problems from that direction, too. When traffic starts to get crowded, safety is a mutual endeavor. 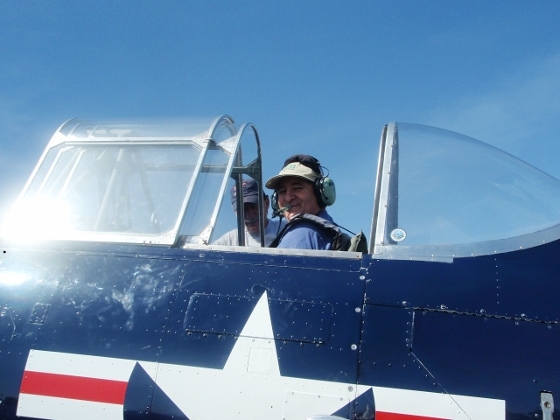 And what is a fly-in without a ride! 4 Photo Galleries with lots of pictures – see ’em all!